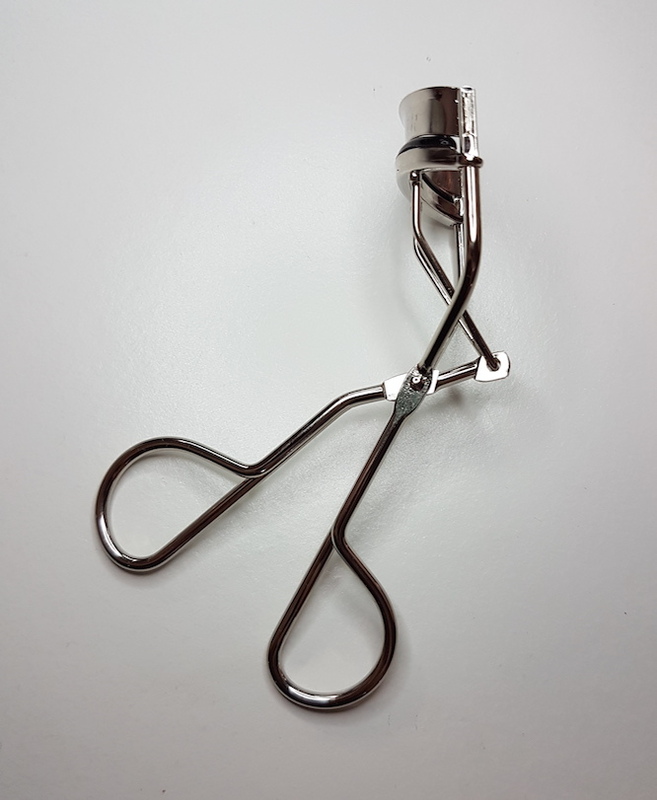 To use, you need to open the curler and position it around your lashes, right at the roots. Next, you need to gently squeeze the curler together, not too tightly, then hold for a short while. Once ready, fully release the handles before moving it away from the eye. It states to make sure that you are using the curler on clean, mascara-free lashes (we’ve all seen that video with the woman losing all of her eyelashes, surely?!). Also please do take care not to pinch your eyes during use (ouch!). 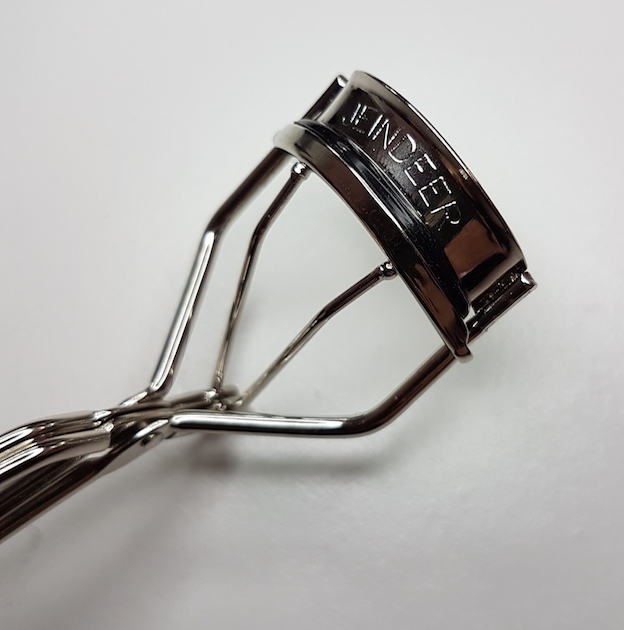 If you don’t achieve the desired curl on the first go, you can continue to use the curler in the same manner up towards the tip of the lashes. 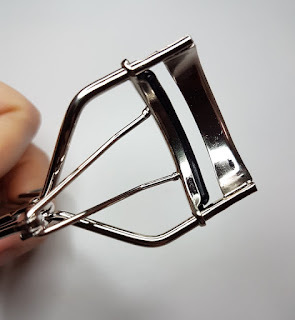 At first I was a little confused as to how close you need to get with the curler (don't forget, eyelash curler novice here, stop snickering at the back! ), so I had a couple of attempts that weren't wielding much in regards to results. However, finally working out what the heck I was doing, I held the curler nice and firmly around the very base of my lashes with the curler touching my eyelid and hurrah! There we go! I held it for around 10 seconds to achieve the curl. Just like the box states, there was no harsh crimp effect. Instead there is a nice, smooth curl that made me look twice. I like it! Without mascara the curl lasts for a few hours, but as you could imagine, it lasts far longer with the use of mascara. I've always been happy to have long eyelashes, but whilst they may have the length, they have a total lack of curl. They sort of just grow long and straight. So much so that they can poke the eyeballs in the inner corners sometimes. I did find that the eyelash curler gave me some form of relief with this, so that's an extra plus. Do you need to use an eyelash curler every day? Hmm, not really, but if you have the time to do so every day then it can add a whole extra element to your finished look for sure. If you don't have the time to use it every day, it is still a great addition to your kit for use on more special occasions or for whenever you do get a moment extra. As a mum, it can be hard to find time to fit this into my morning routine, but for when I get to go out somewhere? Yeah I'll definitely be using it! Like I explained during the start of this post, the curler does come with a spare silicone pad. Jeindeer state that with daily use, the pad can be used for up to 3 months. If you were to use it daily, you’re looking at around 6 months of use. Not using it daily will therefore give you a bit more life, but please do remember to still clean it. This is used near your eyes. Don’t risk an infection! Sadly, due to my lack of experience with eyelash curlers, I can’t compare it to others. I can say though that for my first experience with curlers I was pretty happy. 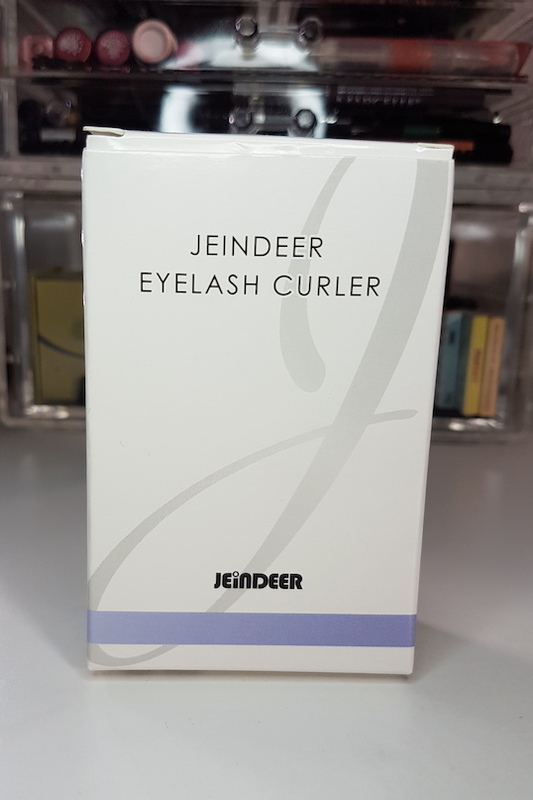 You can purchase the Jeindeer Eyelash Curler from Amazon UK, Amazon US and Amazon Germany. What are your thoughts on the Jeindeer Eyelash Curler? What curler is your favourite?